If you’re planning a trip to Peru, the first step is deciding which places to visit and how much time to spend in each. You’ll probably end up in Lima for a day or two when you’re flying in and out, and obviously spend time in Cusco when you go to Machu Picchu. But, what about the rest of your trip? If you’re debating between visiting Arequipa vs. Huaraz, I have everything you need to know to make a decision. I spent one month in each, so I’m ready for the showdown! 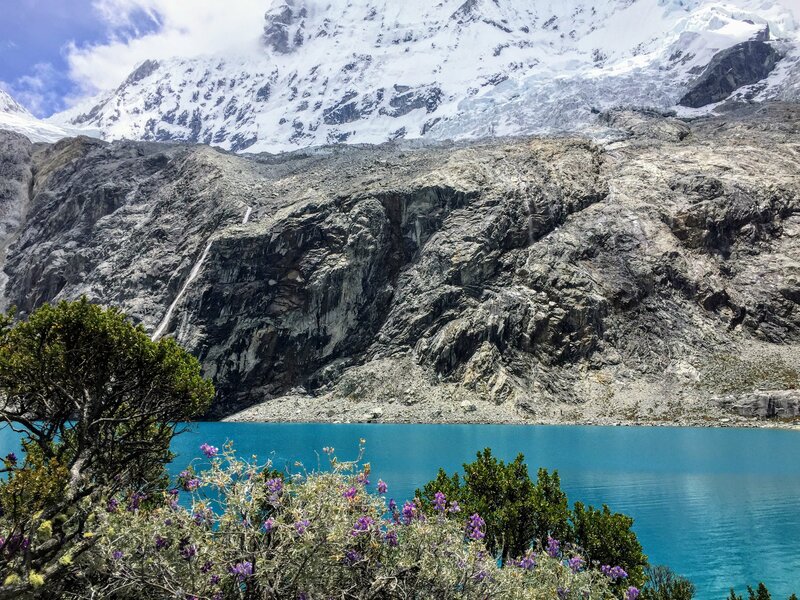 If you’re big into nature and hiking, Huaraz is a no brainer. It’s the access point for Huascaran National Park, which contains one of National Geographic’s best treks in the world: Santa Cruz. Daniel and I solo hiked the Santa Cruz trek over 4 days and it was an awesome experience. Huaraz also boasts Laguna 69, an absolutely stunning and surreal day hike from the city, mountain climbing like our one day climb of Nevado Mateo (which was one of my favorite experiences on our 4.5 month trip through Peru), and other excursions to visit lakes and glaciers in the area. 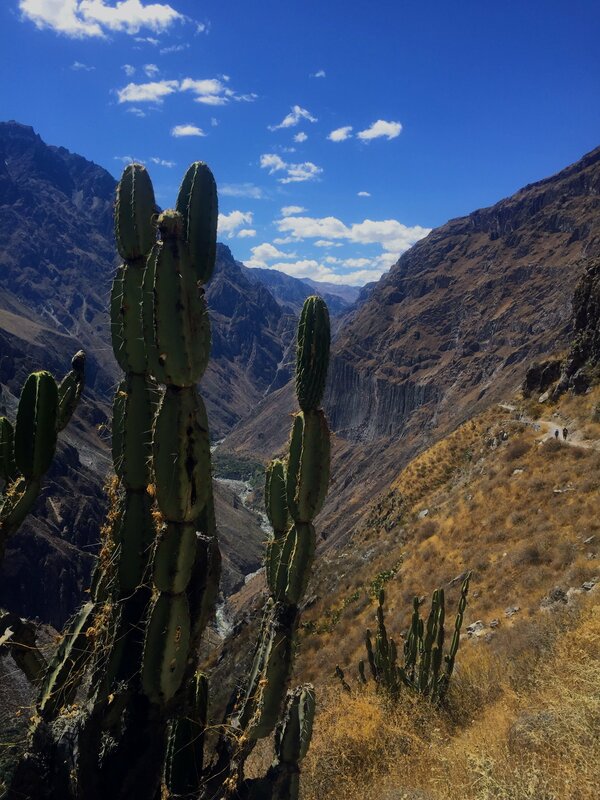 Arequipa’s most popular attraction is Colca Canyon, a weekend trek through the second deepest canyon in the world. While in the city, Daniel and I also foolishly tackled the climb up Misti Volcano (and almost died, but thats another story) but it’s really not a hike I would recommend unless you’re an experienced mountain climber. I enjoyed the Colca Canyon hike, but thought it was less beautiful than pretty much everything we saw in Huaraz. For me, the answer is clear. Huaraz is a small mountain town of 100,000 people, and Arequipa is the second largest city in Peru with a population of more than 700,000. I think you can probably guess who is going to win this round. Arequipa is a beautiful colonial city built with all white buildings, and has much more restaurant and bar options than Huaraz. 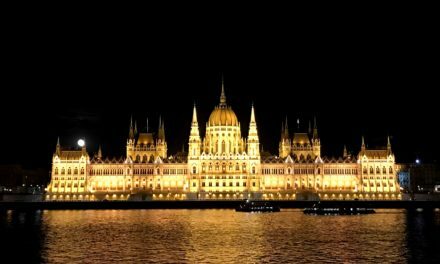 It has party hostels and plenty of places to drink the night away. Huaraz, on the other hand had only one small area that was really built for backpackers to “go-out” in, and it’s about two blocks big. The nightlife is really lacking here, but they do have the Sierra Andina tap house and a new brewery opening up as well, so if you’re into craft beer in Peru and a relaxed vibe, this town may be for you. On the whole, though, it doesn’t compare to a weekend in Arequipa. When Daniel and I travel, we usually stay in each city we visit for 5 or 6 weeks at a time. That means we become well acquainted with the less glamorous parts of the towns like grocery stores and pharmacies. When it comes to accommodation and daily life for long term travel in Huaraz and Arequipa, which is better? Like I said, Arequipa is a big city. That means it has malls, giant grocery stores, American chains and fast food restaurants, and cuisines of all varieties. Wifi is fast(ish) and there are coworking spaces to join. In Huaraz, not so much. We stopped by a small corner store to buy some essentials, and asked where the bigger grocery stores were to visit the next day. After some confusion, we understood what the cashiers were saying… there aren’t any. 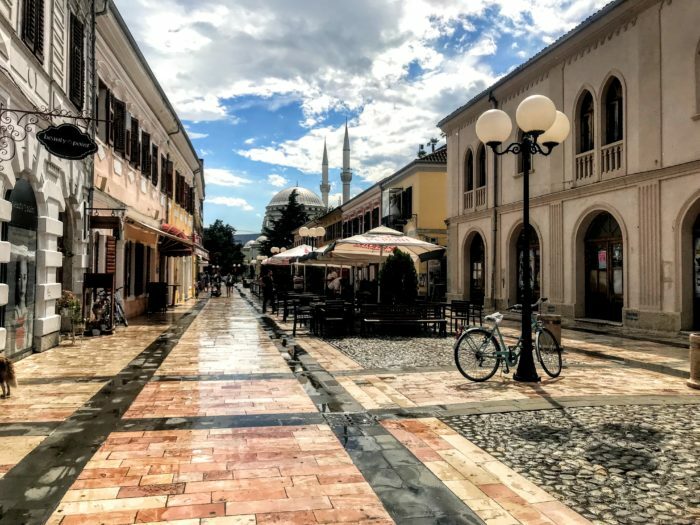 Most people only shop at the large market in the center of town. We basically lived off premade foods like mac n’ cheese, hot dogs, granola bars, etc. because the options at the small store were so limited. Also, even though we were staying in a nice Airbnb our wifi also had plenty of issues that I think were due to the limited access the town as a whole has to the internet. I have a Sprint International phone plan, and the whole month we were in Huaraz my data just… didn’t work. In the past year, it’s the only place I’ve had that issue before. Since Huaraz is smaller, Airbnb options and hostel choices are more limited as well. The beauty of Huaraz is stunning, but living in the city for a month wasn’t easy. In Arequipa, there were tour shops on every corner selling excursions. Downhill biking, climbing Misti Volcano or Chachani, trips to Lake Titicaca, rafting, rock climbing, and more were all on offer. They prices were pretty cheap too. However, a lot of the things to do were far away and took all weekend. Our weekend in Lake Titicaca required a 12 hour round trip, and our trip to Colca Canyon was still around 3 hours away. The downhill biking we did was a total disaster as well. 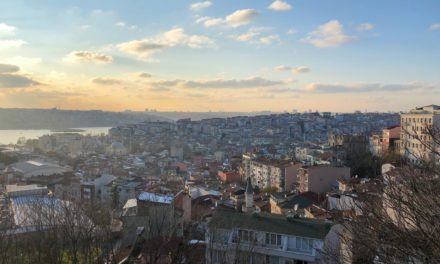 The surrounding area just isn’t that beautiful, and the city doesn’t lend itself well to day trips and excursions to escape the pollution and crowded streets. Huaraz also had an abundance of tour agencies on every corner. Here, the rock climbing and rafting are in the Cordillera Blanca, one of the country’s most beautiful mountain ranges. You can also ice climb a mountain on a half day excursion, and hike to so many nearby lakes and valleys. We even did a one dollar day trip to Wilcacocha Lake. In Huaraz, the day trips were closer and better (in my opinion) but as far as things to do, there wasn’t much inside the city. During the week we worked at coffee shops, ate dinner out, or enjoyed some drinks on our balcony. In Arequipa, theres a lot more to do in the city like visit the Monastery de Santa Catalina, the Cathedral and main square, markets, museums, scenic overlooks, and endless shopping and restaurant options. So, this one is split. If you’re a city dweller, you will prefer Arequipa. If you’re a nature lover, Huaraz wins. I spent four and a half months in Peru, split between four different cities (Cusco, Arequipa, Huaraz, and Lima). The cost of living was similar between all of them. The only major difference I found was that the cost of food in Huaraz was pretty high. Because the market was so small and options were limited, I’d compare it to buying your groceries every week at a Walgreens. We got less food for more money. In Arequipa, the grocery stores were bigger and cheaper. For weekend costs, in Huaraz we could do day trips for as little as one dollar, and even a trip to Laguna 69 will only run you around $10 or $12. In Arequipa, you will spend more on longer outings or just eating and drinking in the city. 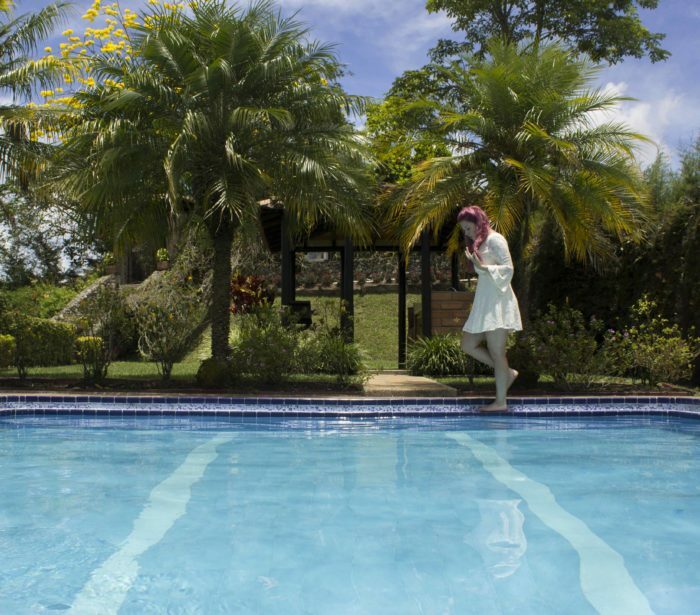 In both, you can find hostels for any price range in your backpacking budget. Because most people who travel in Peru don’t get apartments and cook regularly, the weekend trip costs in Arequipa slightly edge out Huaraz and make it a bit more expensive. But honestly, unless you’re running very low on cash, there isn’t much difference at all between the two. Peru is huge and the distances are often deceiving. If you get to ambitious when planning your trip you could spend days just sitting on buses. Luckily, Huaraz is only an 8 hour bus ride from Lima which makes it easy to visit when you fly into the country or before you leave. Arequipa requires a flight from Lima if you don’t have the patience for a 18 hour bus ride, and even requires a 10 hour bus ride from Cusco. Clearly, Arequipa farther and more difficult to get to. As someone who hates traveling (like the actual act of getting from one place to the other) because I can never sleep or read on the buses or cars, the relatively easy to access location of Huaraz is a plus in my book. Arequipa vs. Huaraz: Which One Is Right For You? I’m a bit surprised to learn that the two countries almost tied in my breakdown, because I personally have such a strong preference for Huaraz. Now that I look at it, though, it’s pretty clear that the city you choose just depends on your own travel preferences. If you like ease of living, city life, nightlife, and better food and restaurants, visit Arequipa. If you love hiking, getting outdoors, beautiful scenery, and small(er) town life, then choose Huaraz. Or better yet, just extend your trip to Peru and spend time in both! If you have any questions about the two cities, comment below and I’ll get back to you. Otherwise, enjoy your trip to this amazing country! Ready to go to Peru? Compare flight prices on Skyscanner to find the best deals and click here to book your accommodation! PS Whichever you choose, document your trip like a pro with Nomadic Matt’s 8-week travel photography course from the experts! Then, check out the complete Peru Guide for day trips, restaurant recommendations, hiking guides and more to help you plan the perfect itinerary. I’m going to Lima and Cusco in October. But I can spend a few more days in Peru and I really can’t decide between Huaraz and Arequipa (and I guess I’ll have to pick one since they’re in opposite directions). I’m not an adventurous person, so I wouldn’t go trekking or anything like that. 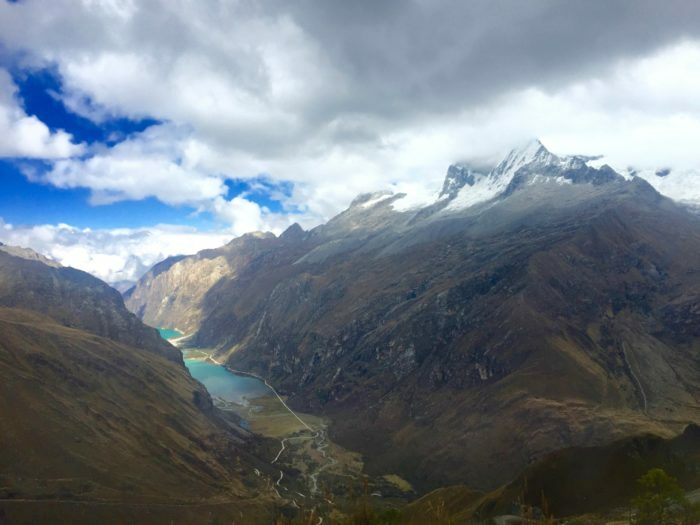 But I read from different people that you can get to some those amazing views (such as Laguna Paron) in Huaraz by taking a van or just walking a regular trail. That is possible, right? Arequipa sounds awesome as well, but I think Huaraz is the kind of place I won’t have the opportunity to visit again so soon. Hey Vitoria. That’s a good question, most of the stuff I did in Huaraz was pretty strenuous. However, along with the Laguna Paron you can also look at a tour to the Llanganuco Lakes (I visited these at the start of the Laguna 69 tour and they’re beautiful) or the Pastururi Glacier because I don’t think either of those tours require too much trekking. Unfortunately I haven’t done any of these though so I can’t give you a solid answer. for me it is gonna be huaraz since am not a big cities lover. my little regret is the misti volcano in arequipa ….i wonder if i can do any volcano visit in huaraz? i thought better to go directly from lima airport to cusco and then backward in my visit!..? Hey Inaam, glad I could help! I think most of the volcanos in Peru are all in the south rather than in Huaraz unfortunately. However, the amazing views of the Cordillera Blanca mountain range in Huascaran National Park more than make up for it, and I think you made a good choice. I think the best way for you to do you trip is with a roundtrip flight from Lima to Cusco and back to Lima, then a round trip bus or flights from Lima to Huaraz and back. I don’t think there are direct flights to Huaraz from Cusco and you’ll have to go through Lima. The way you break down your trip really depends on what you want to do, I recommend choosing to do either the Salkantay Trek in Cusco or the Santa Cruz Trek in Huaraz and then structuring your itinerary around that. As a whole though, I wasn’t too impressed with Lima and 1 to 2 days is definitely enough there.